Everyone want to make professional look blog. and blogger.com is a very powerful network who provide you many Gadgets, template, and free hosting. and every webmaster know "Blogger" is very good place for blogging. so today i show you how to Delete/Remove blogger (Attribution) just in second. 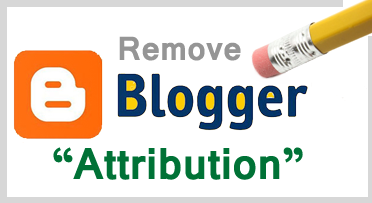 How To (Delete/Remove) Blogger Attribution. 1: Go to your Blogger Blog. 2: Now go to blogger dashboard. 4: now click Edit HTML Button. 5: and press Ctel+F Key and search Below code. 6: after search above code, change "true" with false, and save your template. 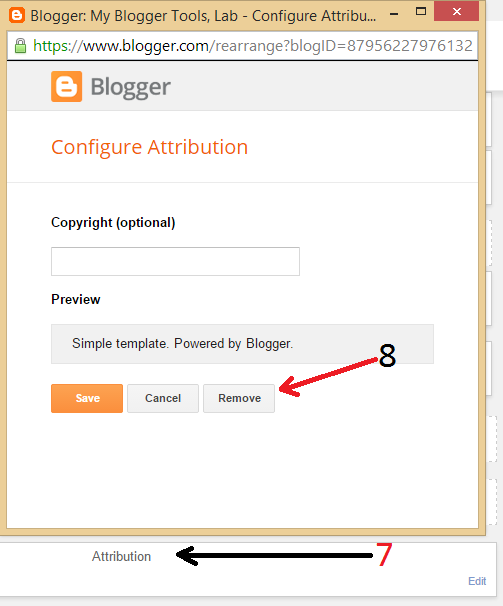 7: Now go to layout and click "Edit Attribution"
8: click "Remove" button to delete your- Powered By Blogger Attribution. Nice post. I used to be checking continuously this blog and I am inspired! Very helpful info specially the last part. I take care of such information much.. This tutorial is really useful for me.